ASP.NET 5 Hosting – How to Diagnose Dependency Issues with ASP.NET 5? ASP.NET 5 Hosting is a significant redesign of ASP.NET. This topic introduces the new concepts in ASP.NET 5 and explains how they help you develop modern web apps. How to Diagnose Dependency Issues with ASP.NET 5? I’m trying to run a modified version of the HelloWeb sample for ASP.NET vNext on DNX using Kestrel. I understand that this is very much on the bleeding edge, but I would hope that the ASP.NET team would at least keep the simplest possible web app working. Right now, living on the bleeding edge will hurt. When things go bad it’s easy to throw your hands up and complain (please keep complaining), but with a little help and practice, you’ll be diagnosing problems like a pro in no time (and sending pull requests!). When things break it’s likely because you’re running your application on an incompatible dnx. If you ever see method missing of type missing exception or possibly an assembly load failure, chances are you ended up running betaX packages and betaY dnx or vice versa. System.IO.FileNotFoundException: Could not load file or assembly 'Microsoft.Framework.Runtime.IApplicationEnvironment, Version=0.0.0.0, Culture=neutral, PublicKeyToken=null' or one of its dependencies. It’s because that type has moved and a package you are referencing is trying to load the ANI still. There’s a new feature we’re introducing to nuget called floating versions. Today it only works on the prerelease tag, but in the next version of NuGet it’ll work on more parts of the version. This is similar to npm and gem syntax for specifying version ranges in the package specification file. 1.0.0-* – Means give me the HIGHEST version matching the prefix (according to semantic versioning rules) OR if there is no version matching that prefix, use normal behavior and get me the LOWEST version >= the specified version. If you’re interested, you can see the new logic in the lastest NuGet.Versioning packages. Think of it as a packages folder per project. In NuGet today, you get a solution level packages folder. That tells the project (via hint paths) what set of packages it can use for compilation and running. The project.lock.json file is effectively the same thing, it’s a “per project packages folder”, since we don’t copy anything local in the new project system (your bin folder is empty), it’s a way to scope the list of packages in %userprofile%\.dnx\packages so that projects don’t just run based on the global set of packages, but the ones that are relevant to that project. The third function of the lock file is when you choose to check it into source control. If you run kpm restore --lock it will set the "locked": trueproperty in the file. When you actually lock the lock file (hence the name), kpm restore no longer does dependency resolution. It will just download the files listed in the lock file. This way it acts more like a packages.config. When diagnosing when restore might have failed, look at the HTTP requests made, they tell you what configured package sources kpm looked in. Notice in the above image, there is a CACHE request. This is the built in caching based on the type of resource (nupkg or nuspec) and has a configurable TTL (look at kpm restore --help). If you want to force kpmto hit the remote NuGet sources, use the --no-cache flag. The runtime basically tries to validate that the entire dependency graph is resolved before attempting to run. If it suggests running kpm restoreit’s because it can’t find the dependencies listed. Microsoft.Owin.Host.SystemWeb version 3.0.0 does not have any assemblies that run on dnxcore50 (take a look at the unzipped package’s lib folder). One thing I didn’t mention was the fact that building in visual studio uses a different code path completely. Within visual studio, there is a process that runs called the Design Time Host. It’s an instance of the DNX that Visual Studio and Omnisharp use to drive intellisense and diagnostics forproject.json based projects. In theory, the command line and Visual Studio should act the same, but things have bugs so let’s dive into how you can get more data from the project system when things go wrong. The magic environment variable you need to set to see everything in Visual Studio, is the same as the runtime switch set DNX_TRACE=1 or KRE_TRACE=1 if you’re running on CTP6. Set that in the command line and launch Visual Studio, open up an ASP.NET class library, go to the output window and look for the dnx.exe log (klr.exe log on CTP6). This is the resolved references and the source files for the project.jsonfile. When you build in VS, you can see actually see the MSBuild task, call out to the out of process dnx.exe asking it for errors and warnings. Now build should show the same output as the command line. Are You Looking for Best and Cheap ASP.NET 5 Hosting? You have many options when choosing the Best and Cheap ASP.NET 5 hosting company. 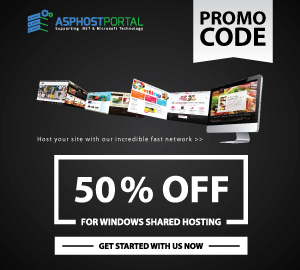 Our recommendation for ASP.NET 5 hosting is ASPHostPortal.com. ASPHostPortal.com is the best and cheap Windows hosting. ASPHostPortal.com is Microsoft No #1 Recommended Windows and ASP.NET Spotlight Hosting Partner in United States. Microsoft presents this award to ASPHostPortal.com for the ability to support the latest Microsoft and ASP.NET technology, such as: WebMatrix, WebDeploy, Visual Studio 2012, .NET 5/4.6/ 4.5.2, ASP.NET MVC 6.0/5.2, Silverlight 5 and Visual Studio Lightswitch.